We all have at least one question about the formidable bed bug: How do I avoid having this goddamned pest infest my home? Actually make that two: How do I avoid getting bed bugs and how do I get rid of them if I do? Brooke Borel, a science journalist and two-time victim of bedbug infestation, had many more questions—so many, she wrote a whole book on the spread of the bug’s spread, Infested: How the Bed Bug Infiltrated Our Bedrooms and Took Over the World. She is joining us today for a live chat from 1-2pm EST to answer any and all of your questions about bed bugs. The story of cimex lectularius is more interesting than you might think. Did you know, for instance, that bed bugs were tested as a weapon for combat during the Vietnam War? The bloodsucker’s natural attraction to humans made it an ideal candidate to detect enemies nearby. 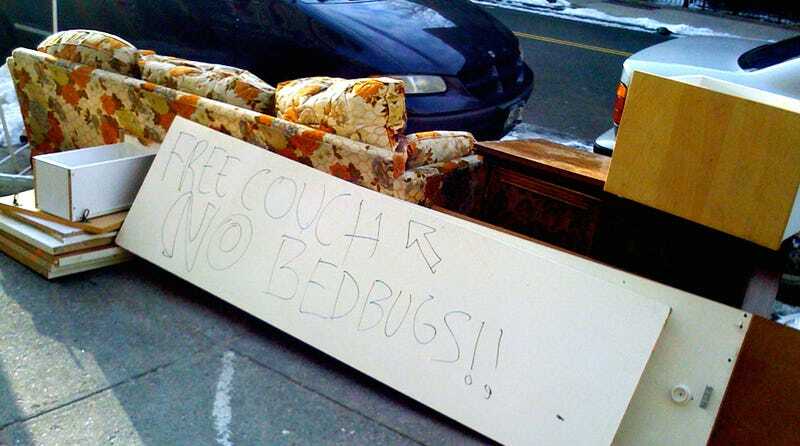 That experiment failed—bed bugs never made it to the battlefield and faded from the spotlight, until recent years, when they came back with full force to torment humans in their own homes. Ever had an infestation? What do you want to know? Ask Borel your questions in the comments below.